1 – It’s FREE. My service to you as a buyers agent costs you nothing at all. The builder pays a real estate agent a commission for representing the buyers. Builders charge the same price for a house regardless of whether or not you use an agent. The agent’s commission comes out of the builder’s bottom line, it is factored into every home they build, and does not affect your purchase price. 2 – You need representation. The buyer’s agent is yourrepresentation. Remember that the site agent represents the builder/developer. There is a listing contract in place that specifies the agent’s duties and the commission paid by the builder. The site agent is legally bound to represent the best interests of the builder, not the home buyer. Because of this, buyers need their own representation. 3 – Better negotiations. Real estate agents are professional negotiators. An experienced buyer’s agent knows how to present requests and negotiate deals. With an agent, you have someone in your corner guiding you through the builder’s contract. 4 – Save time and money. An experienced buyer’s agent saves you time. Purchasing and construction of a new home can be a complicated process. I will simplify price comparisons by preparing a comparable market analysis They have access to information that shows comparable sales so you do not overpay for a home. 5 – Know all your options. 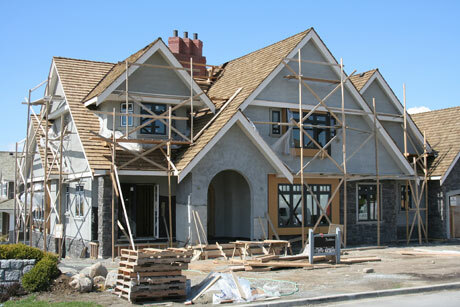 As a buyer’s agent I will help you compare new construction versus existing homes. Most communities that are selling new construction homes also have resale homes for sale. The salesman working for the builder can only show you the new homes, being built by the builder they work for. You don’t have to be limited to new construction or a single builder. The resale market sometimes has more choices at better prices. There may be another home in the same or a nearby community that better suits your needs and lifestyle. I will help you explore all of your options before you make your final decision. 6 – Understand complicated contracts. Buyer’s agents will help you understand the builder’s contract. This is no easy feat, as some of these contracts are more than 50 pages long. It is important you have someone working for you that will help you understand the contract so you know what you’re agreeing to when you sign it. 7 – Accountability. A buyer’s agent makes builders more accountable. Just as the builder has professionals working for them, you need a professional working for you. An experienced buyer’s agent is trained to get all terms in writing so there are no disputes at closing time. 8 – Knowledge. Are you aware in the state of Texas a builders agent does not need to have a real estate license? When you hire a REALTOR you are hiring an expert in the real estate industry. I have taken an oath to maintain a code of ethics and have fiduciary responsibility to YOU, my client, not the builder. 9 – The bottom line. A buyer’s agent works for YOU. It is my job to find you the best home at the best price, look out for your best interests, and help you navigate the complicated process of buying a home.